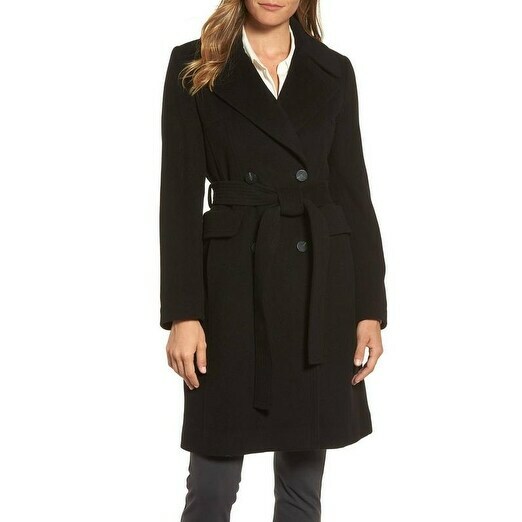 Purchased a pricey Diane von Furstenberg Black Wool Wrap Coat from Overstock. This long coat is ridiculously tight in the shoulders, you gotta order two sizes larger than shown. Got a return authorization and shipped it back to seller who still has not issued the credit. Quite frustrating! a month later they refuse to credit my account forcing me to submit a chargeback request with my card issuer. OVERSTOCK DOES NOT HAVE CONSUMER RECOURSE OR OVERSIGHT OVER THESE UNETHICAL VENDORS! Buy elsewhere or get screwed like we did.